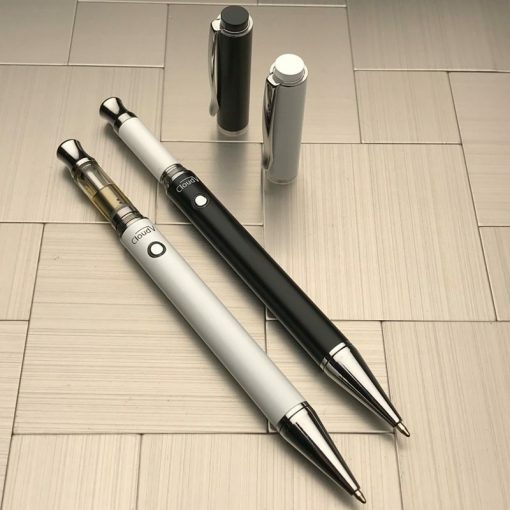 Vape pen to vaporize your wax and liquid materials. The Cloud Vape Pen is designed as an essential oil vaporiser for your concentrates. It can also function as a quality pen (black ink colour). Nice and discrete, you can carry around the vape pen anywhere you go. The Cloud Vape Pen is designed as an essential oil vaporizer for your concentrates. 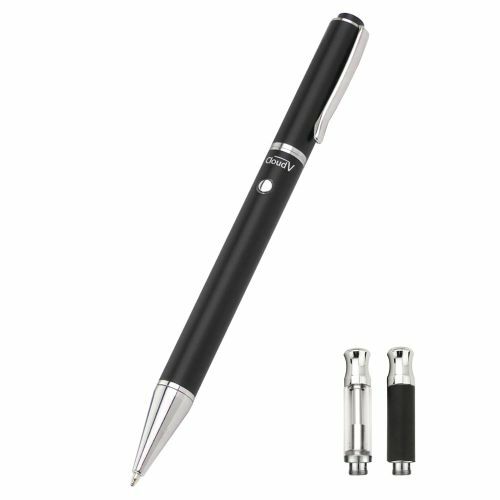 It can also function as a quality pen (black ink color). Nice and discrete, you can carry around the vape pen anywhere you go. 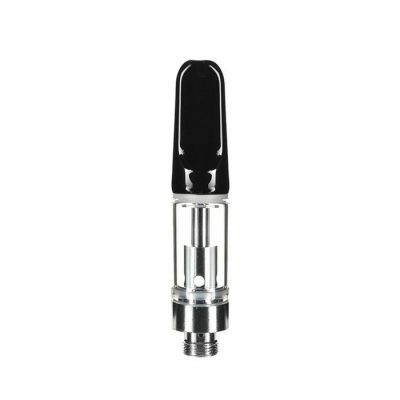 The concentrate cartridge features a ceramic chamber as well as ceramic heating rod. Additionally, we have included a Slim Liquid Cartridge that has a wick-less ceramic heating system. The cartridge will provide you clean and smooth vaporizing experience each time. Cloud V Enterprises warrants Cloud Vape Pen’s battery for six months that it is free of material defects and workmanship. If the battery is found to be defective, the sole liability from Cloud V is to repair or replace the defective battery with a properly functioning one. Warranty does not apply to atomizers or if the unit is used with non-Cloud V certified or approve products. When not in use, you should store your Cloud in a safe place to avoid accidental activation. You should not leave your charger plugged in or unattended in a hot area or near flammable objects as this could be a fire hazard. You should keep your Cloud Slim away from water or any other liquid and away from any environment involving strong acids, alkaline or combustible material. Please keep this out of reach of children and pets. It is intended for persons over the age of 28.